So about a month ago, I attended this course leading to a certification called Certified Performance Management Professional by The KPI Institute in Riyadh. Conducting Employee Performance Appraisals or managing the Employee Performance Cycle is a part of my role and I have been doing it for more than three years now. Why still get certified? To refresh my knowledge and validate my skills. This post however is not about Employee Performance Appraisals. Its about your own performance. You as an individual. 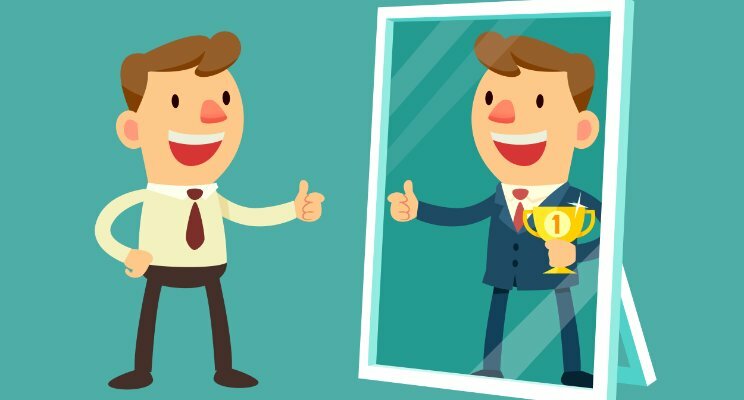 Many of you I am sure have been involved in a performance appraisal process in one way or another but has anyone of you tried managing personal performance? Not many, I presume. If its so important for companies that they are willing to spend millions of dollars to track and manage performance at employee, divisional or company level. Why do you think its not important for you as a person? But how do you manage your personal performance? What do you do? Its pretty simple. It is very important to have financial goals. Yes, your ultimate goal may not be to make tons of money but you’ve got to make and save a decent amount in order to achieve all the other goals of your life. This includes all the Career, Religious, Health & Fitness, Family & Pleasure goals. You obviously can have a lot in this part as it has goals from diversified areas but the other three parts are also very important. This includes learning the good habits that could help me improve as a person or help me achieve my other goals or unlearning the habits that might be stopping me from doing great things. It is about personal development. Education or self-development is a life-long process. It should never stop, it should never end. So keep finding something new to learn – something that adds value to you personally, professionally, however. But just keep learning. The other aspect of it is sharing. It is very important to share the knowledge. Share what you’re good at. Giving back to the society. If you guys would like, I can also try to share a step-by-step guide now how to make your Personal Performance Scorecards with Objectives and KPIs and share some samples as well. Once you have your Goals/Objectives & KPIs, you’ve got to stay motivated to be able to achieve them. You have to track the progress. You have to have review meetings with yourself, yes alone. If you have someone who can keep tabs on your progress, that would be the ideal case scenario. But if you don’t have anyone to help you with, you are the in-charge. The thing about Personal Goal-Setting & Appraisals is that you don’t really have to conduct any sort of analysis to figure out the reasons of not meeting the desired levels of performance. You know those reasons already. However what you could do in the Self-Review is come-up with the ideas and initiatives that could help you improve your performance so you could achieve your desired level. IMHO – New Year’s Resolutions are overrated. If you want to get serious about your own performance, progress and accountability, you’ve got to manage your personal performance management cycle. I would like to leave you all with the following thought by Karen Lamb. I wish you all the very the best and a very successful year ahead!